Simone Gundy steals the show in Theatre under the Stars' production of Memphis. 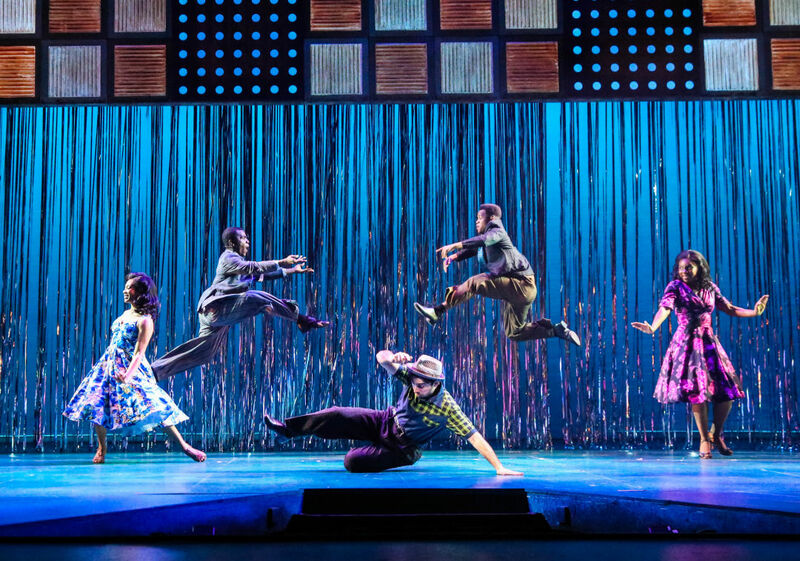 If you like great voices, catchy dance numbers, and a high-energy ensemble cast, then Memphis is the show for you. 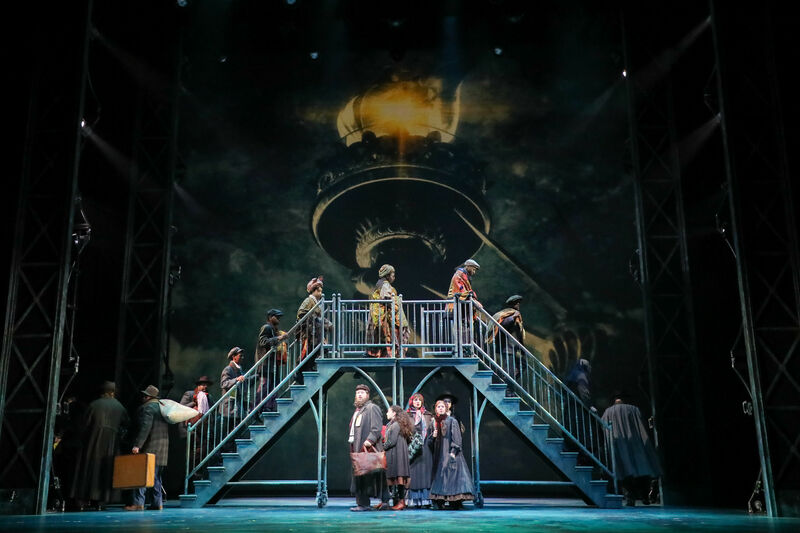 Yes, there is a storyline about romance and artistic ambition, but the music is the thing, and this show, based on a concept by George W. George, and with a book and lyrics by Joe DiPietro and music and lyrics by David Bryan, offers powerful musical performances that will stay in your head long after the show is over. Directed by Theatre Under the Stars Artistic Director Dan Knechtges, the story opens in an underground African-American club that has singing and dancing, but no white people—until one enters unannounced. Huey is the interloper, and he is so in love with the music at Delray’s Club he can’t stay away. Who can blame him? It is great music, and a lot of fun. But this is 1950s America, and the racial lines are clearly drawn, which serves as the show's primary source of conflict. Let's be clear: The star of this show is Felicia Farrell, played by Houston’s own Simone Gundy, making her TUTS debut. She has an amazing vocal and stylistic range, and the song she sings for her radio debut, “Someday,” is a great stand-alone pop song all on its own. 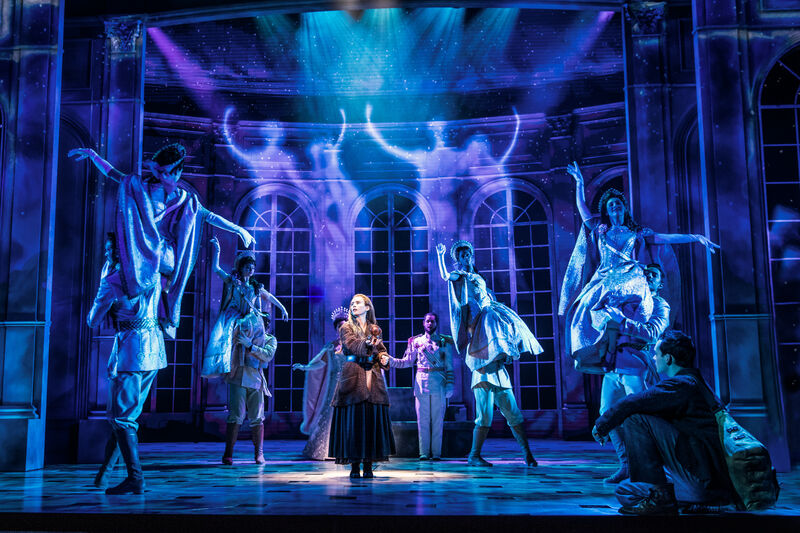 If buying the soundtrack for a musical is a barometer of success, then I consider this show an absolute achievement. And while the ensemble is great, Gundy is still the star, and some of her long-held notes gave me chills. She is really that good, and I looked forward to her musical performances more than anything else in the show—I wish I could see her in concert. I loved watching the numerous clever and vivacious dance numbers choreographed by Jessica Hartman and thought the costumes by Leon Dobkowski were spot on. Women really did wear dresses that looked like bedspreads, and I marveled how these two could collaborate and make period costumes the actors could still dance in. Same for the men—these were the long-gone days when people still believed in dressing up. 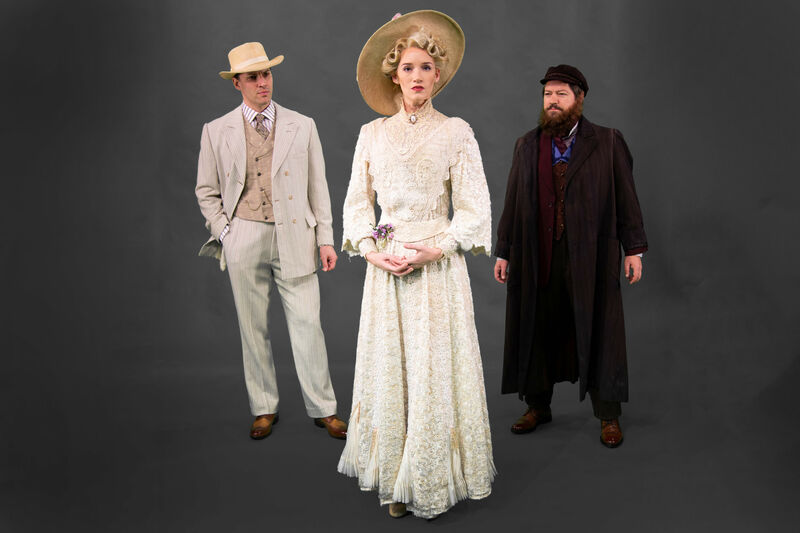 The ensemble could obviously still move, even in their excellent period costumes. The male lead, Huey, played by Barrett Riggins, was a curious performance. His accent was quirky and overdone, and after a while grated on my nerves. It sounded more like Forrest Gump than anyone from Tennessee. Yet his singing voice is a thrill to hear, and I thought he was a strong performer throughout a very demanding role. But it was hard to believe that he and Felicia would ever really get together—they seemed like oil and water. Although when they quarrel about their socially unacceptable interracial romance, there are affecting moments, as when he says in an accusatory voice, “When did I become more Black than you?” You don’t exactly want them to break up, but the plot seems predictable (even if the whole ride of the show is an enjoyable one). Other outstanding performances include the superlative Julie Johnson, a seasoned Broadway performer who surprised me. At first you think she will be a minor character playing Huey’s mother and a predictable stand-in for white racism. But she delivers some of the best lines and some standout scenes and songs, and, in a way, she stole the spotlight every time she was on stage. 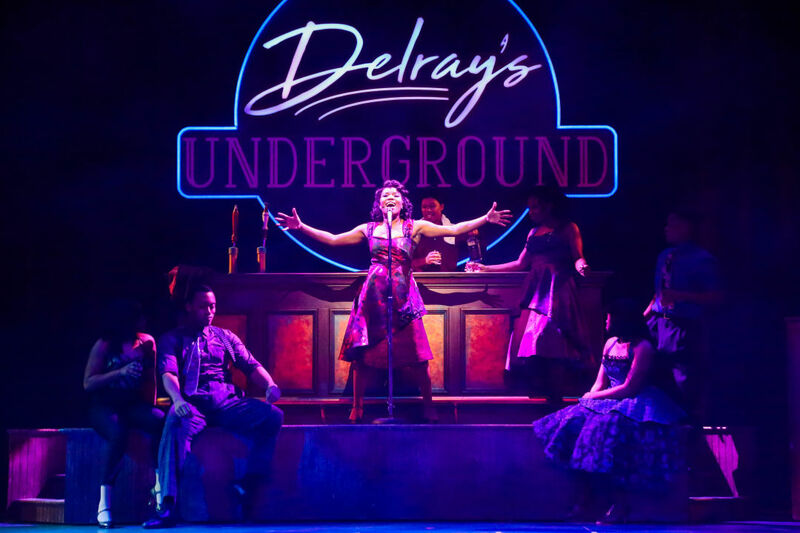 Warren G. Nolan, Jr. is memorable as Delray, Felicia’s brother, as is Houston favorite Philip Lehl as the radio station owner, Mr. Simmons, who bends his racist views once he realizes the economic potential of African American songs on the airwaves. 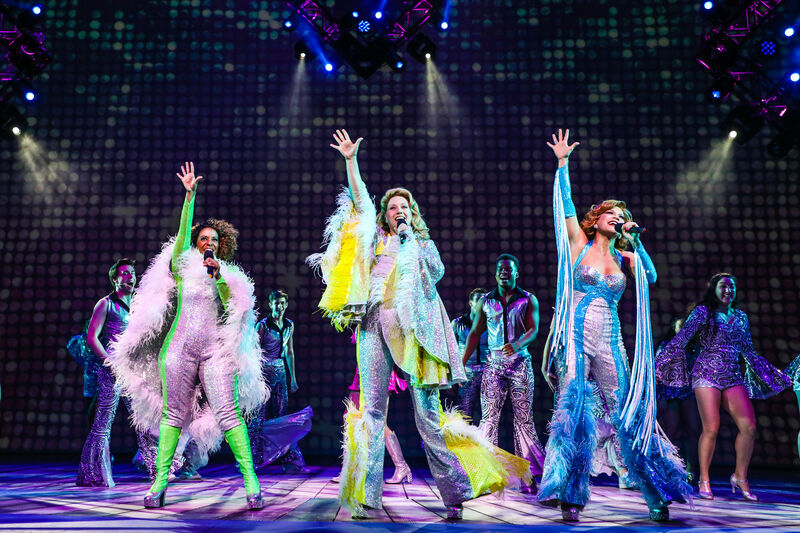 Memphis had the audience tapping their feet, clapping out loud, and thoroughly engaged, and not every musical can do this. It also introduces us to the stellar talent of Simone Gundy, who I can’t wait to see in her next role. That's to say nothing of my desire to hear her next song—hopefully, on the radio. Thru March 4. Tickets from $40. Hobby Center for the Performing Arts, 800 Bagby St. 713-558-8887. More info and tickets at tuts.com.